Baisakhi is one of the most widely celebrated festivals in India. There are several reasons for its popularity. 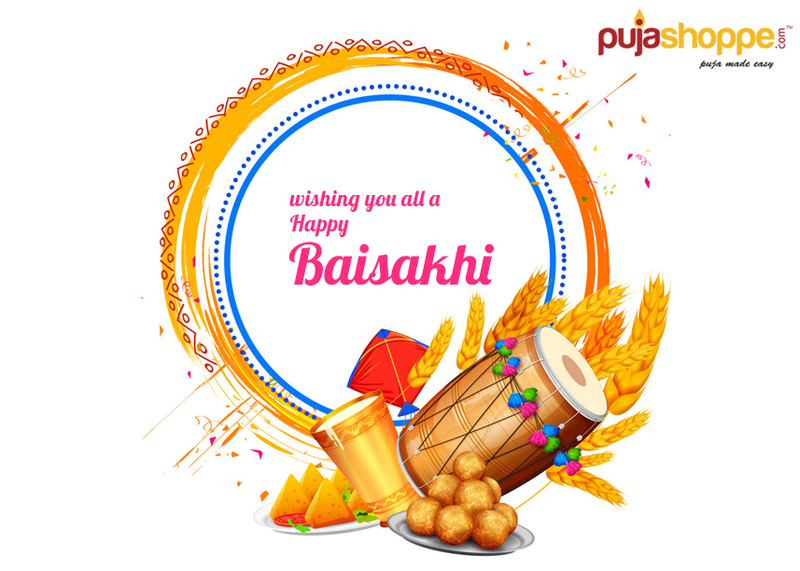 Apart from being a significant festival for the farmers, Baisakhi is considered as one of the main festivals in Sikhism. Besides these, the festival also holds an important place for the astrological reasons. And because of these reasons, most of the Hindus are found buying different types of puja samagri online to perform a puja at home on this auspicious day. Here’s Why the Festival Is Astrologically Important? This festival generally falls in the month of April every year. The date may change every year because the date of the auspicious day is reckoned as per the solar calendar. The date of this festival is important astrologically as it marks the entry of the sun into the Mesh Rashi. This is the reason why most of the people consider this festival as the Mesh Shankranti. The festival is celebrated by every Indian. The only difference lies in the way of celebrating and the name of the festival according to the regions. For example, it is termed as Rongali Bihu in Assam, Puthandu in Tamil Nadu, Naba Barsha in West Bengal, Vaishakha in Bihar, and Pooram Vishu in Kerela. As this day is believed to be very auspicious astrologically too, so most of the people perform a puja at their homes using different puja saman. Why Baishakhi Is Important for the Farmers of India? For Haryana and Punjab, which is agriculturally the richest states in the country, this festival marks the beginning of the harvest time of rabi, the winter crops. This is the main reason why the farmers especially of these regions, celebrate Baisakhi with so much enthusiasm. It is the Thanks giving day in these states. Dressed up in new clothes, the farmers visit the gurdwaras and temples early n the morning of this auspicious day for expressing their gratitude to the Lord for good harvest and for seeking the blessings to ensure an agricultural season. The framers also perform Bhangra dance on the eve of Baishakhi. This festival is of prime importance for the Sikhs as it was on this day in the year 1699 when Guru Gobind Singh, the tenth Guru of the Sikhs, founded the Khalsa Panth to give a distinct identity to the Sikh religion. On this day, the Guru also administered nectar or amrit to five of his disciples for making them the Singhs, the martial community. In this way, he was able to eliminate the huge difference between the high and the low, thus, establishing that every individual is equal to the Lord. The Sikhs also perform a puja on this day by buying the samagris from the puja store online range now. They also participate in the activities in the gurdwaras and also carry out an enthusiastic procession to mark the significance of this day. Last but not the least, one of the most vital reasons to celebrate this auspicious day is that Lord Buddha attained Nirvana and enlightenment on Baishakhi. Previous PostWhat Is the Significance of the Nine Days of Chaitra Navratri?